Map of all posts about travel in Honduras. Move around, zoom in or out, go full-screen, and click on any icon to see a post synopsis. Honduras was not our favorite country in the Americas. There was a social tension and lack of infrastructure that disturbed and frustrated us while we were there. 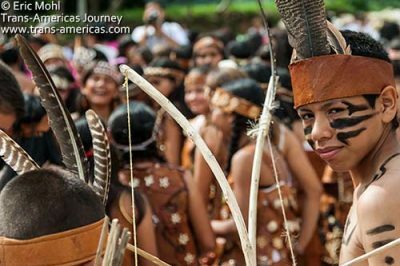 Still, Honduras is home to the amazing Copán archaeological site and museum, a shockingly good microbrewery, and we even managed to find some living culture and a traditional annual festival—and you can too. In all we spent 89 days exploring Honduras covering 1,766 miles (2,642 km) across the country to produce 30 posts about travel in Honduras. 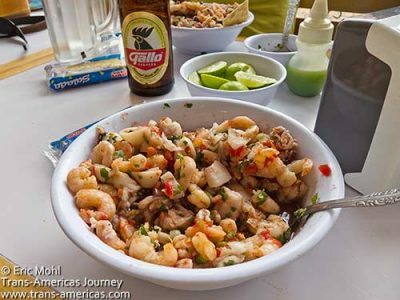 Get our overall advice about travel to Honduras and a hand-picked selection of must-reads in our Honduras Travel Guide. You may be flying into and out of Tegucigalpa. 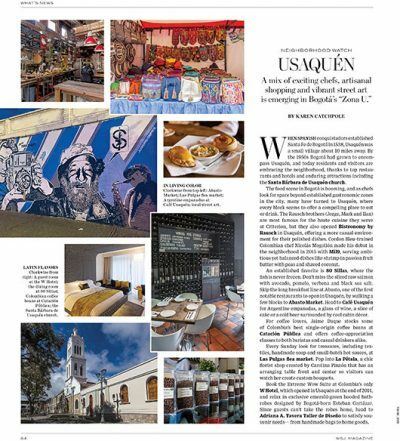 There’s no reason to linger, but here’s how to make the most of any time you may need to spend in Tegucigalpa, the capital of Honduras, including hotels, museums, where to eat, and more. We advise you to skip Roatan Island, but nearby Utila Island and the small cays around it are worth your time, especially if you’re a SCUBA diver. 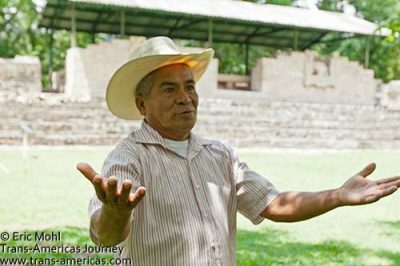 Odds are you came to Honduras to see the Copán archaeological site and you will not be disappointed. The two best hotels we encountered in Honduras were Pico Bonito Lodge, at the head of the Cangrejal Valley, and Portal de Angel in Tegucigalpa. 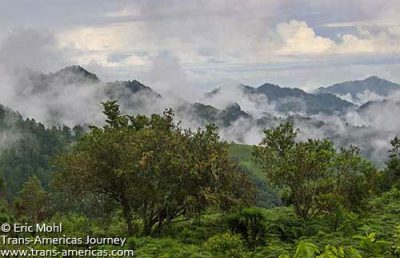 Honduras simply isn’t a luxury travel destination. We were delighted by the scenery and the facilities for hiking and camping in Cusuco National Park outside of San Pedro Sula. The Cangrejal River in the Cangrejal Valley is the place to go for rafting and canyoneering. Though not as affordable as it once was, Utila Island is still a pleasant place to do some SCUBA diving. The most distinct food we encountered in Honduras was the batido, a kind of Honduran quesadilla involving a large flour tortilla usually filled with beans and cheese before being folded. It’s not spectacular, but it is filling and cheap. We were delighted to find the Sol de Copán microbrewery helmed by an actual German brewer in the town of Copán. There is not a lot of living culture in Honduras and not many museums beyond the few in Tegucigalpa. However, you can and should get to know the Lenca people in and around a town called Gracias de Dios. As mentioned before, the Copán archaeological site, one of the two UNESCO World Heritage sites in Honduras, and the adjacent Sculpture Museum of Copán are world class and should not be missed. Ready for more? Read all of our posts about travel in Honduras.